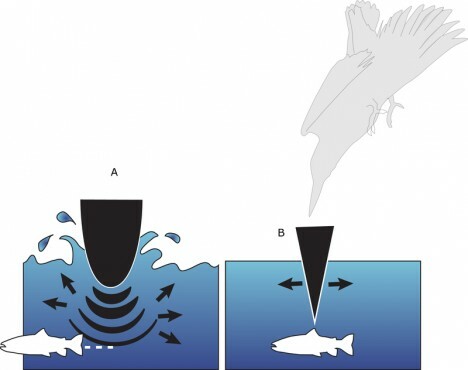 The very same evolution-driven characteristics that enable birds to glide effortlessly through the air can be applied to everything from drones to bullet trains to make them faster, lighter, more nimble and all around cooler looking. 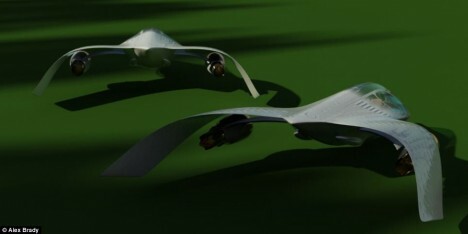 Avian-inspired aircraft with nature’s most aerodynamic silhouettes, cars with frames modeled on bird skeletons, gull wing fighter jets and even the U.S. military’s current B2 Spirit Bomber look to the skies for design and performance improvements. 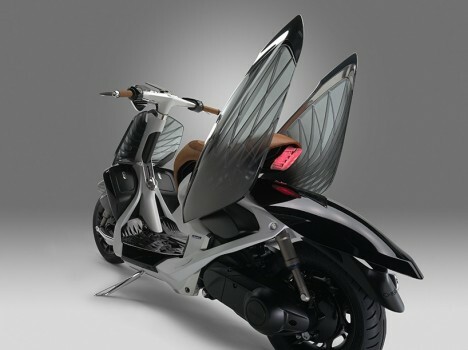 With an overall design inspired by flowing garments on a high fashion runway, the Yamaha 04GEN scooter concept has an elegant birdlike frame and two transparent body panels modeled on the wings of the swan. The likeness is especially evident when the panels are flipped up. 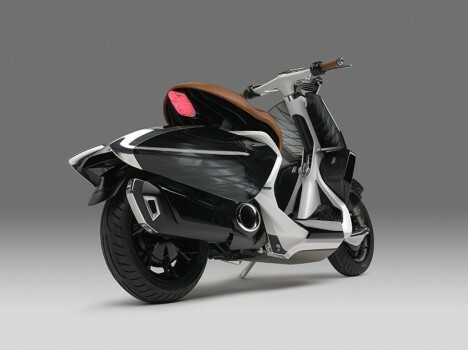 The experimental concept model was unveiled at the first Vietnam Motorcycle Show in Ho Chi Minh City, and there’s no word as to whether it will actually go into production. Designer William Black created the Lockheed Stratoliner in tribute to the bar-tailed Godwit, a bird that holds the record for traveling the farthest without a single stop (7,258 miles.) 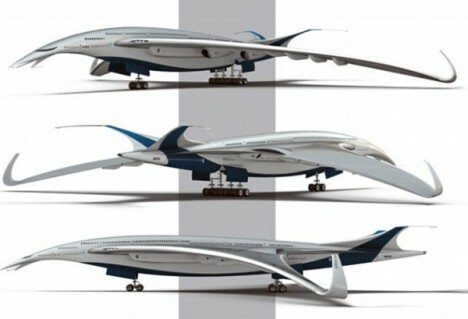 Designed for long distances, it uses four cryogenic hydrogen turbofans as its engines, emitting zero pollution. The oversized wings and swooping body come straight from the Australian wading bird, as well. Considering that hydrogen-powered flight is still far off from being a reality on such a large scale, this is destined to remain a concept for the indefinite future. Engineer Eiji Nakatsu, a general manager of the technical development department for Japan’s high-speed bullet trains, also happens to be a birdwatcher, and not just by coincidence. He realized studying the flight of birds could help make trains faster and lighter, pushing the boundaries of innovation in his field. The typical train nose design was creating incredibly loud sonic booms as it emerged from tunnels, and needed some tweaking. 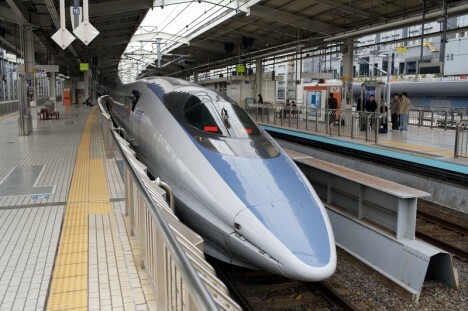 Nakatsu recalled the way a kingfisher’s scoop-like beak enables it to dive into water at high speed with barely a splash, and applied the same shape to the train, eliminating the noise problem and enabling it to run at higher speeds. 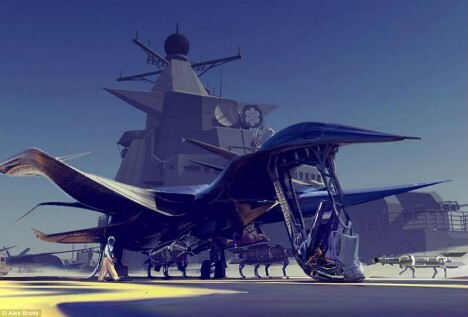 An odd swan-shaped plane, seagull-inspired fighter jets and an aircraft that combines the forms of chickens and dragons are among the fantastical aircraft concepts by British artist Alex Brady. Admitting that they’re 100 percent whimsical, Brady isn’t too concerned about the opinions of experts, who have noted that these creations couldn’t fly without the invention of new propulsion systems. His other designs take inspiration from manta rays, warthogs, wood lice, porpoises and even a pterodactyl.